Many first-generation Asian-Americans have tended to vote Republican, particularly Vietnamese, but many of their children have moved toward the Democratic Party, because of issues like health care, immigration and education, said Karthick Ramakrishnan, a professor of public policy and political science at the University of California, Riverside. Until this year, younger Asian-Americans, like younger voters in most demographic groups, turned out in low numbers. 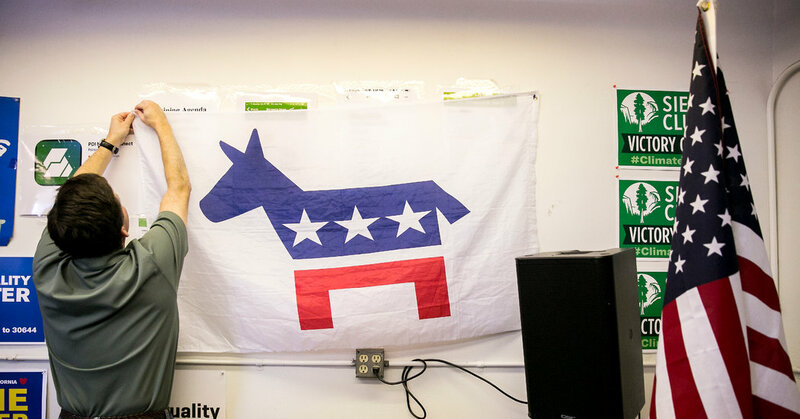 “From all the evidence we can see so far it looks like Asian-Americans were part of the blue wave,” he said. Ms. La, who grew up in the San Diego area and moved to Westminster six years ago, said the demonstration on Saturday took just 36 hours to organize — in a part of the world that was once known for being politically apathetic. Mr. Ramakrishnan said Mr. Trump had made the situation markedly more difficult for Republicans. He suggested that had Mr. Trump had not engaged in “so much anti-immigrant rhetoric,” Young Kim, a Republican who was seeking to become the first Korean-American woman in Congress, would likely have won in her race against Mr. Cisneros.